Feel free to use your preferred bread type. You also can simply toast the bread in a toaster instead of the suggested indulgently buttery version given in the recipe. Per Serving: 913 calories; 52g fat; 81.5g carbohydrates; 32g protein; 529mg cholesterol; 1775mg sodium. First time trying this recipe and it was excellent. I love Korean food so I am partially biased, but this is just a really good breakfast dish. It's hearty and flavorful. The brioche bread with the omelet, incredible. 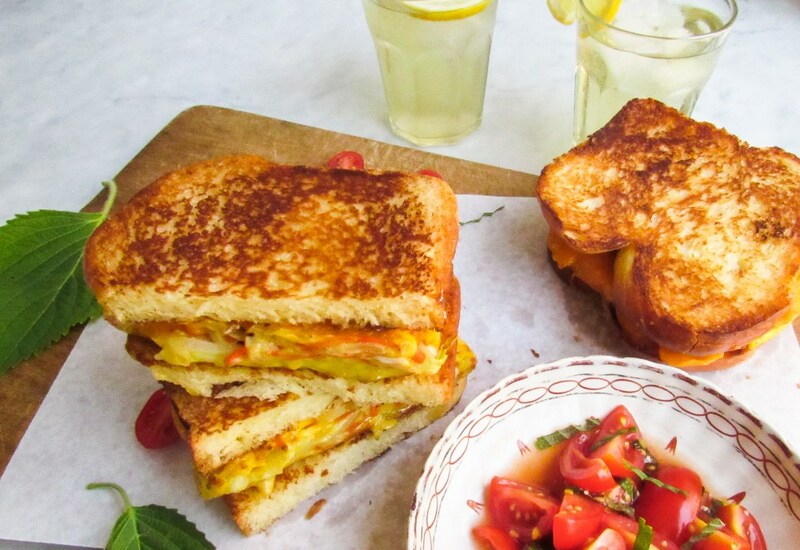 These omelet sandwiches are my favorite. Sometimes I added shredded beef or pork. It's great for brunch! I hate omelets my child cried in horror. He tried this quick late dinner and said this is very good. Automatic 5 star. This will be a go to for breakfast, lunch and dinner. Thanks.